The easing of California’s drought has boosted the state’s early spring hydropower generation to its highest level since 2011, helping it to recover from a 15-year low reached last year. But hydroelectricity production is not expected to improve much overall this year, according to the U.S. Energy Information Administration. The West’s four-year drought desiccated many reservoirs in California, the nation’s fourth largest hydropower producer, reducing their ability to generate electricity and forcing the state to rely on other renewables and more fossil fuels for its power supply. 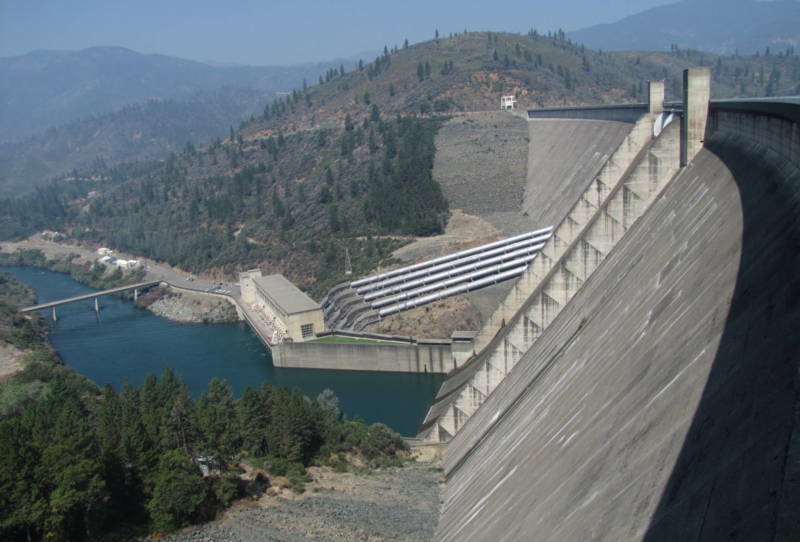 Prior to the drought, hydropower produced nearly 40 percent of the state’s electricity during wet years, with natural gas producing most of the rest. Today, about 11 percent of the state’s electricity comes from hydropower and 52 percent comes from natural gas, with wind, solar and nuclear producing much of the rest. Though hydropower generated at large reservoirs is not included in California’s climate goals, it is a major source of renewable electricity that helps offset the country’s reliance on coal for electricity. California passed a law last year requiring 50 percent of the state’s power to come from wind, solar, biomass, geothermal energy and small hydroelectric sources by 2050. Since the drought began in 2012, Californians burned an additional $2 billion worth of natural gas to make up for lost hydropower, increasing greenhouse gas emissions from the state’s electric power sector by 10 percent, said water and climate analyst Peter Gleick, president of the Oakland-based Pacific Institute, a global water think tank. California’s hydropower boost follows El Niño-fueled storms, which marched across the state over the winter, helping to fill some reservoirs to above their historical averages, state data show. Tim Shear, an economist at the U.S. Energy Information Administration, said the state’s hydropower production in March — 2.77 million megawatt hours — was the highest of any March since 2011. Hydropower generation usually peaks each summer when reservoirs are swollen with snowmelt and rainfall. The 2015 peak occurred in July at about 1.9 million megawatt hours, the lowest annual peak since 2001. Nearly-full reservoirs point to more hydropower generation for the short term, but it may not continue through through the summer. Though the U.S. Climate Prediction Center’s seasonal outlook shows that California is likely to receive average rainfall this summer, warmer-than-normal temperatures are expected, which will help evaporate water stored in hydroelectric reservoirs. Gleick said he expects that California’s hydropower generation will recover only marginally this year.